It’s way too loud! Why don’t we sing the older songs more often? Are all these stage lights really necessary? I really hate worshiping in the dark (house lights off)…aren’t we people of the light?! If you have been leading worship for more than a few months, you have heard at least one (if not all) of these complaints. 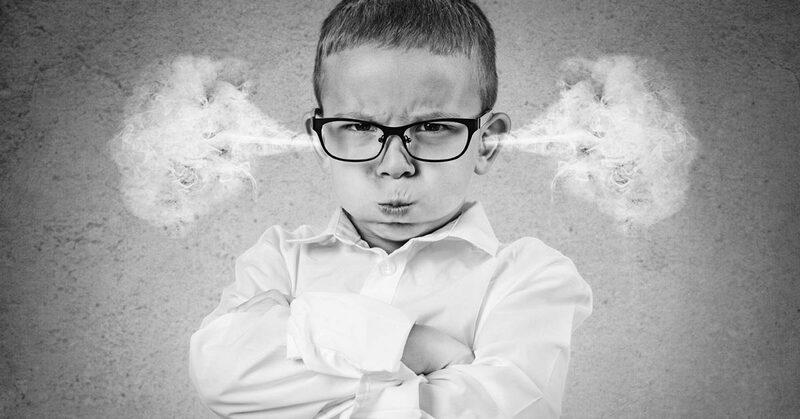 Harsh criticism can start early in the worship leader journey. When I first realized the call to be a worship leader I was 15 years old. I went with the most viable option and started a youth band. As is common with all youth, we liked the music LOUD. This was also a shock considering the congregation was used to a pretty mellow situation. I can remember it like it was yesterday… immediately after leading worship on a Wednesday night, I was met in the fellowship hall by an older man. He cornered me to have some words. Whoa…it felt like a punch in the face. I was on fire for God and doing my best to fulfill His call on my life. My heart was pure and I was simply leading worship the way I felt God was leading me. Sure, it looked quite a bit different than what the church was used to, but I didn’t think that would bother people. Boy, was I wrong. The truth is, there will always be opinionated people. They want to be heard because they believe their way is the best way. Considering they will always be around, I want to give you a few pointers on how to deal with complaints when they come in. First of all, as a general rule of thumb, complaints should be shelved until the same complaint comes from at least three different people. Otherwise, you will wear yourself out trying to accommodate everyone. When the complaint is in person – Give them your full attention as they express their viewpoint. Let them say all they want to say and simply respond with, “I respect your concern and will take it into consideration as we move forward.” Remember, arguing in this type of situation is almost never beneficial. There is no reason to try to prove them wrong. When the complaint comes from your superior (pastor) – When a request comes from your pastor, it is your responsibility to follow it (whether you agree or not). God has placed a leadership structure within the church and we should honor it. Of course, there is no problem with you respectfully expressing your viewpoint on the matter. But, if the pastor still wants the change made, put on a good attitude and get it done. You might also enjoy: Frustrated With Your Pastor? If the complainer is still worked up down the line, you may want to meet them for coffee. This will enable you to have a face-to-face conversation about what is going on. You can share your vision and the reason behind why you do things. Most likely, when they see your true heart (instead of making assumptions) the complaint will disappear. If there has been a time where you effectively dismantled a complaint, I would love to hear about it! Share your story in the comments below. Love it, I will definitely put it in practice. Thanks for the comment, Dan. For anonymous complaints, I would probably keep a record of the cards to see if there was some type of pattern. I would also compare handwriting to make sure it is not the same person submitting the same complaint over and over. It is unlikely that you will get a series of anonymous complaints for the same thing, but it still wouldn’t hurt to look out for it. Other than that, I wouldn’t give them much weight. Your message seems to say “when confronted with another opinion, here is how to politely ignore it, because I know I’m right and I ain’t changing’.”. I hope you are asking yourself how can I meet this persons need for Worship too. The abruptness you hear is a reflection of his belief that your style is not God honoring and his conscience won’t allow him participation. Thanks for the comment, Jim. I can definitely see where you are coming from, but I have found that those who complain about such small things, like lighting or sound, are generally people just looking to stir up strife. It is never the new believer that complains – they are just happy to be there. It is never the committed christian who complains – they are just there to serve. The church is not called to make everyone happy. It’s purpose is to reach out to those who don’t yet know Christ and help believers grow to spiritual maturity. Part of growing up is learning that complaining gets you no where. In the words of Joyce Meyer, ‘If you complain, you remain.’ The best thing we can do to help complainers grow up is to show them that complaining gets you nowhere. Hey Kade, really enjoy your blogs. I’ve taken some of your advice here and applied it to what we’re doing at our church and we’ve seen some great improvements. Thanks for the comment, Brock! Glad you find the posts helpful. Criticism: You don’t deal with that, let go and let God. If that is your attitude God will give you wisdom and knowledge how to deal with it rather than you. At the end of the day it will go to pass and it will be done. Team hates your song selection: It’s your choice either you please them or God which one? What to do? Nothing, ask Jesus what to do or act like God you know better!